The Republican nominee for the presidency would likely drastically change U.S. policy toward Afghanistan. 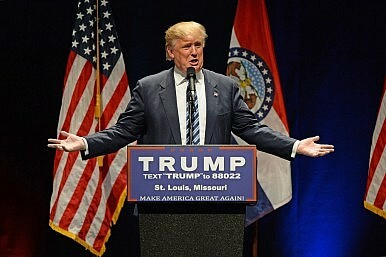 On June 13, 2016, Republican presidential nominee Donald Trump claimed that Omar Saddiqui Mateen, the mastermind of the Pulse nightclub shooting in Orlando, was “born an Afghan.” Although Mateen was actually a U.S. citizen raised in New York, Trump argued that the Orlando shooting justified his support for a temporary ban on Muslim immigration to the United States. Even if Congress rejects Trump’s proposed Muslim immigration ban, a Trump presidency could profoundly shift the United States’ Afghanistan strategy. Based on his public statements and policy proposals, Trump’s Afghanistan strategy will likely emphasize preserving short-term stability in Afghanistan and containing Pakistan. This approach contrasts markedly with the Obama administration’s focus on nation building and strengthening Afghan political institutions. In addition, Trump’s characterization of Afghanistan as a nexus for terrorism could strain the Washington-Kabul relationship and reduce Afghan military support for U.S. counterterrorism operations. By October 2015, Trump had moderated his stance to accept the retention of 9,800 U.S. military personnel in Afghanistan. However, Trump has insisted that these troops should abandon institution-building objectives and focus on combating more imminent security concerns. In particular, Trump believes that a residual U.S. military presence in Afghanistan is an effective check on Pakistan’s nuclear weapons capabilities. To prevent terrorist groups from gaining access to Pakistan’s nuclear arsenal, Trump has called for an expansion of Afghanistan’s security partnership with India. This policy will likely increase tensions between the United States and Pakistan. Despite fierce denials from Washington and New Delhi, Pakistan has repeatedly claimed that Afghanistan-India security cooperation is aimed at maligning Pakistan and supporting insurgent groups. Open U.S. support for joint efforts between Afghanistan and India to contain Pakistan could cause Pakistan to strengthen its alignment with China and escalate its budding security partnership with Russia. As many Pakistanis resent Trump’s insinuation that the Pakistani military cannot control its nuclear arsenal without U.S. supervision, anti-Americanism in Pakistan will likely spike should Trump be elected. In addition to using Afghanistan as a base to contain Pakistan, Trump has argued that the United States needs to maintain troops in Afghanistan to prevent Afghanistan from becoming a failed state. Trump’s contention that Afghanistan’s security is dependent on the retention of U.S. troops differs markedly from Washington’s current policy. The Obama administration has consistently argued that U.S. troops are merely playing a support role in Afghanistan to help the Afghan military combat terrorism and the Taliban. Trump has not provided specific details on how he intends to defeat the Taliban. However, his rhetoric leaves the door open for a long-lasting U.S. military presence. This position has broad support within the Republican Party. During the primaries, Florida Senator Marco Rubio argued for the long-term retention of 10,000 troops to combat terrorism. Texas Senator Ted Cruz also concurred with Trump’s support for a military presence in Afghanistan that does not focus on institution building. Statements from senior Republicans suggest that Trump would likely have the congressional support he needs to implement his Afghanistan strategy. Should Trump’s Afghanistan strategy be enacted, Kabul’s dependence on the U.S. for security will increase. This could leave the Afghan military unprepared to combat the Taliban and ISIS when the U.S. eventually withdraws from Afghanistan. Trump’s explicit linkage between Afghan society and terrorism has also engendered animosity toward him in Afghanistan. Citing a 2013 Pew Research survey revealing that 99 percent of Afghan Muslims supported the implementation of Sharia law, Trump argued that Afghan immigration to the United States greatly increases the risk of terror attacks on U.S. soil. Even though a complete ban on Afghan immigration is unlikely to pass through Congress, prominent Republican lawmakers, like Alabama Senator Jeff Sessions, support stricter immigration restrictions for Afghans who assist U.S. forces. As the Taliban has a history of murdering Afghans who assist U.S. troops, tightened immigration restrictions could discourage Afghans from aiding the U.S. military and strain the U.S.-Afghanistan relationship. To pressure Afghan officials to prevent the misappropriation of U.S. financial assistance, Trump could threaten to cut foreign aid to Afghanistan as U.S. aid has frequently been misappropriated by the Afghan government. This policy is fraught with risks. Afghan President Ashraf Ghani could respond to U.S. pressure by requesting more financial assistance from Iran. Should Iran grant Kabul’s requests, U.S. leverage over Afghanistan would erode considerably. If Washington’s influence in Afghanistan declines due to strains between Trump and Ghani, the U.S. military might have to conduct counterterrorism operations with less Afghan National Army (ANA) support. The use of stealth weaponry and surgical airstrikes could occasionally supplant ground operations in tackling Taliban and ISIS targets. However, as cooperation with the ANA has been vital for U.S. counterterrorism operations, the Taliban could capitalize on Washington-Kabul strains and recapture some last territory. For Trump to prevent the Taliban’s resurgence, he must dial down his inflammatory rhetoric and gain the ANA’s trust by demonstrating his commitment to the United States’ 2012 upgrade of Afghanistan to major non-NATO ally status. If Trump triumphs in November, U.S. policy toward Afghanistan could radically change. A face-value analysis of Trump’s public statements suggests that a Trump presidency could strain U.S.-Afghanistan relations, antagonize Pakistan, and leave Afghan forces unprepared for a U.S. withdrawal. Whether this doomsday scenario will pan out depends largely on Trump’s willingness to act independently from the advice of senior generals and the success of his efforts to rally Republicans in Congress around his opposition to nation building in Afghanistan. Samuel Ramani is a DPhil candidate in International Relations at St. Antony’s College, University of Oxford. He is also a journalist who contributes regularly to the Washington Post and Huffington Post. He can be followed on Twitter @samramani2 and on Facebook at Samuel Ramani. Tillerson Discusses Security and Strategy in Afghanistan on Short StopoverWill Afghanistan's Minerals Shape Trump's Policy Toward the Region?No Strategy, No Winning: McCain on Trump's Afghanistan MessWhat Does India Think of Trump’s Afghanistan Policy?US Troops Have New Powers in Afghanistan. What Exactly Does That Mean?